Winner of the Miles Franklin Literary Award! A.S. PATRIĆ is a bookseller in Melbourne, Australia. His short story collection Las Vegas for Vegans was shortlisted for the Queensland Literary Awards. 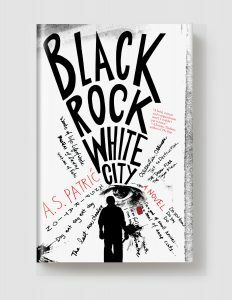 His debut novel, Black Rock White City, won the Miles Franklin Literary Award, Australia’s premier literary prize. He was born in Zemun, Serbia, and emigrated to Australia as a child.